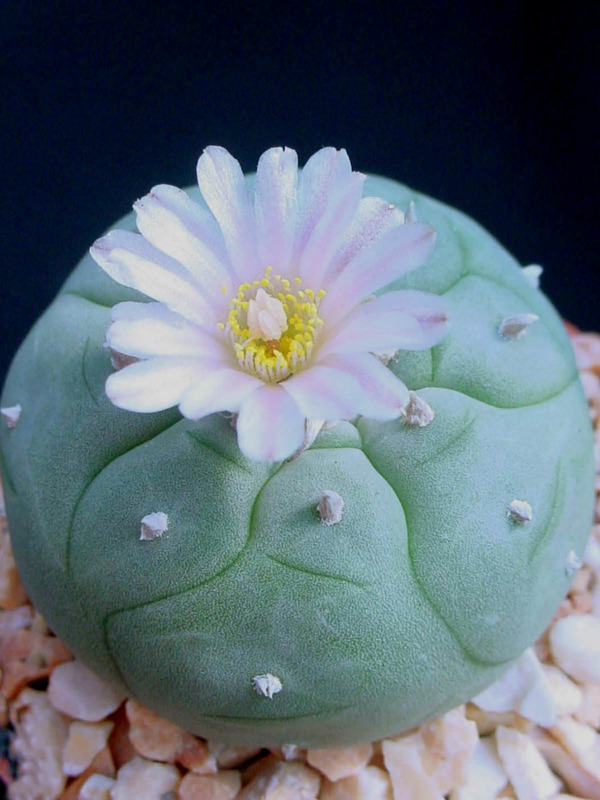 Lophophora williamsii is a solitary spineless cactus with blue-green, yellow-green or sometimes reddish green stem. 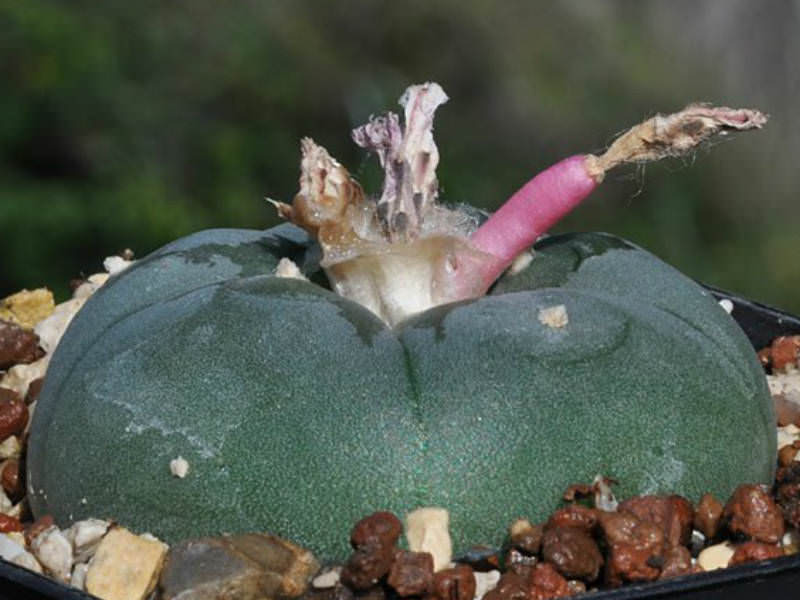 It is very succulent, globular, top-shaped, up to 3 inches (7.5 cm) tall and up to 5 inches (12.5 cm) diameter, with a woolly top. 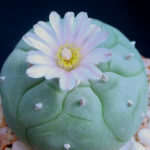 Round spineless areoles, bearing flowers only when young with some bunches of long erect, matted, wooly greyish hairs, up to 0.4 inch (1 cm) long. 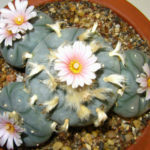 Peyote has pink or white to slightly yellowish, sometimes reddish flowers, up to 1 inch (2.5 cm) across. 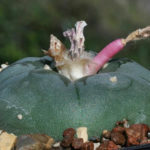 The fruit is club-shaped, red to pinkish, up to 0.8 inch (2 cm) long. 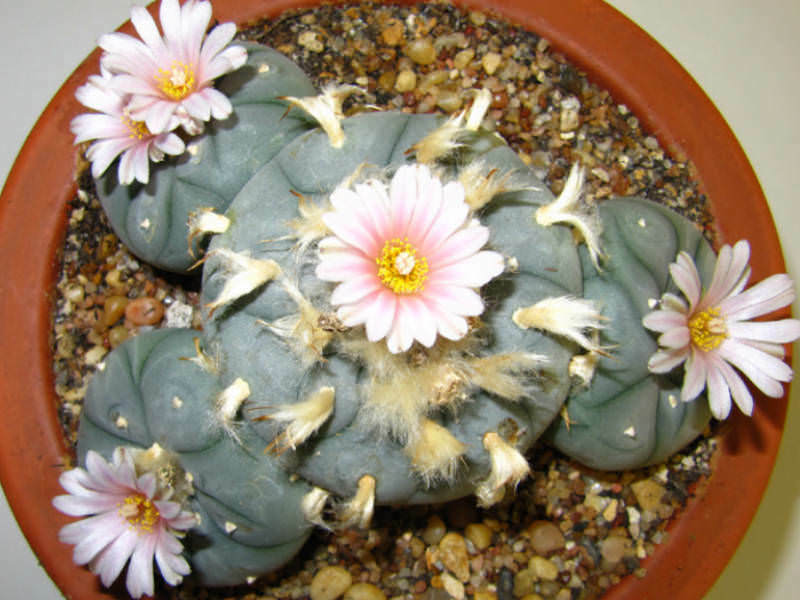 Peyote is native to southwestern Texas and Mexico.